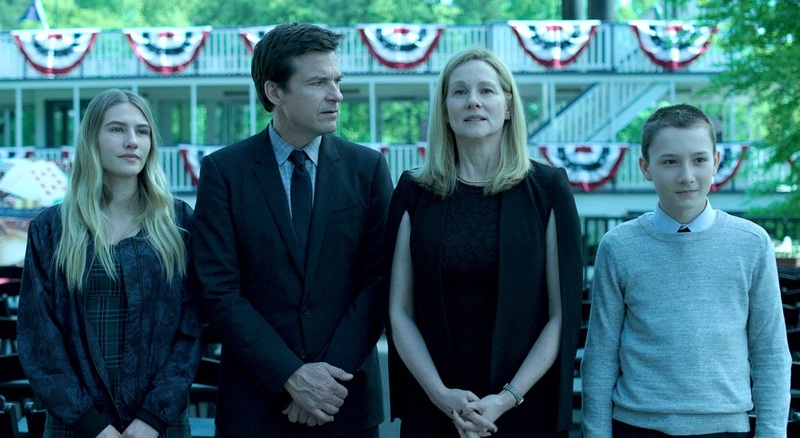 Netflix's gritty Missouri-based crime drama, Ozark, is back with a darker, and much stronger, second season, which pushes the money-laundering Byrde family to the brink of collapse, as they struggle to not only survive, but also thrive in a criminal underworld filled with drug cartels, crooked government agents, and rapacious politicians. 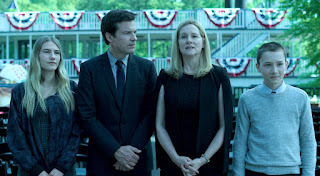 Jason Bateman and Laura Linney are back as Marty and Wendy Byrde, whose unfortunate association with a drug cartel landed them in the Ozarks. But as the bloody, surprising end to the first season indicated, Marty's days as a money manager are giving way to a new career path, one destined to test the agile, angle-playing mind that he'll repeatedly need to talk himself out of one perilous situation after another. The big idea this time out is to filter all those ill-gotten gains through a casino, seemingly the perfect machine to launder money, and maybe even multiply it.